A little bit of the hit PBS series "Downton Abbey" comes to Hartford later this week. The ups and downs of the aristocratic Crawley family enthralled viewers for six seasons, and part of the allure for many was the show's dogged dedication to authenticity -- especially the period clothes and jewelry. Andrew Prince, the jewelry designer for "Downton Abbey," will give a lecture Thursday night at the Wadsworth Atheneum in Hartford on jewelry and fashion from 1890 to 1929. 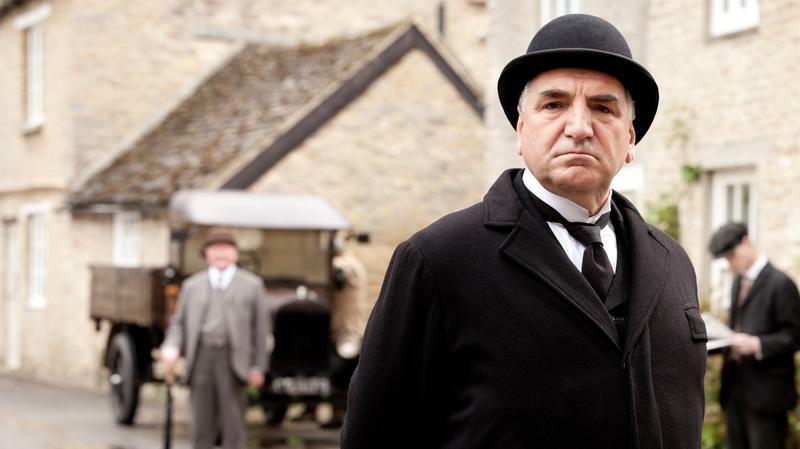 Pieces of jewelry worn on "Downton Abbey" will also be on display. For his work on the show, Prince said it was important to get the jewelry right for each individual character. "Somebody like Maggie Smith, she was playing someone in their 70s, so she would be wearing jewelry that was 20 or 30 years out of date," he said. "She wouldn't be wearing bang-up, to-date modern jewelry. Somebody like Cora, she was the American heiress, and so she would be having very modern, very bright, very expensive diamond jewelry. So, all of the cuts of the stone had to be different depending on the character." Prince said that while the style of jewelry on "Downton Abbey" is historically accurate, aristocratic women in England during the time of the show would have worn much more jewelry than is reflected on the show. Prince said often his jewelry had to be coated with graphite to tone down their brilliance under the television lights. The British jewelry designer said his work on "Downton" has led to other interesting things, like designing a tiara and pearl necklace worn by Miss Piggy in 2014 film "Muppets Most Wanted." For more information on Thursday's event, go to thewadsworth.org. In the record industry, it's not too early to be releasing Christmas albums, and Fresh Air rock critic Ken Tucker has been listening to a lot of them. He's narrowed down his list of goodies to these four: A Merry Friggin' Christmas soundtrack, Christmas at Downton Abby, Earth Wind and Fire's Holiday and the Living Sisters' Harmony is Real. Mankind has always attempted to ward off the weather with protective clothing. Throughout history fashions have influenced the types of outerwear people used to keep themselves warm. Butlers in American pop culture tend to provide comic relief — think The Fresh Prince of Bel-Air or The Birdcage. Or, like Batman's Alfred, the butler is more of a friend than an employee. But one show has brought back the classic butler, with a vengeance. Since the British period drama Downton Abbey made its debut on PBS in 2010, the demand for butlers in some parts of the world has surged.